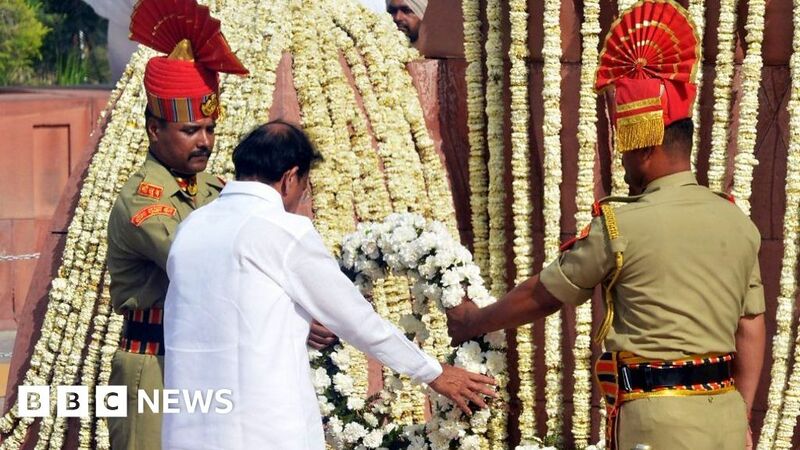 Ceremonies have taken place to mark 100 years since the massacre in the Indian city of Amritsar. Hundreds of Indian civilians were shot by British troops while attending a public meeting, in defiance of a ban by colonial authorities. This week British Prime Minister Theresa May described the incident as a “tragedy” and “a shameful scar on British Indian history”, but stopped short of the formal apology that some have called for. The death toll is disputed. An inquiry set up by the colonial authorities put the figure at 379, but Indian sources put it nearer to 1,000.